Spring is here! I am so ready to say good bye to comfort food and welcome fresh, healthy and delicious salads. 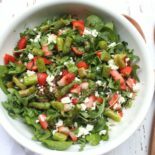 We eat a lot of salads, I love salads because the sky is the limit when it comes to ingredients, I love adding seasonal vegetables, a grain, toasted seeds, crumbled feta cheese and finish it off with a simple homemade dressing. 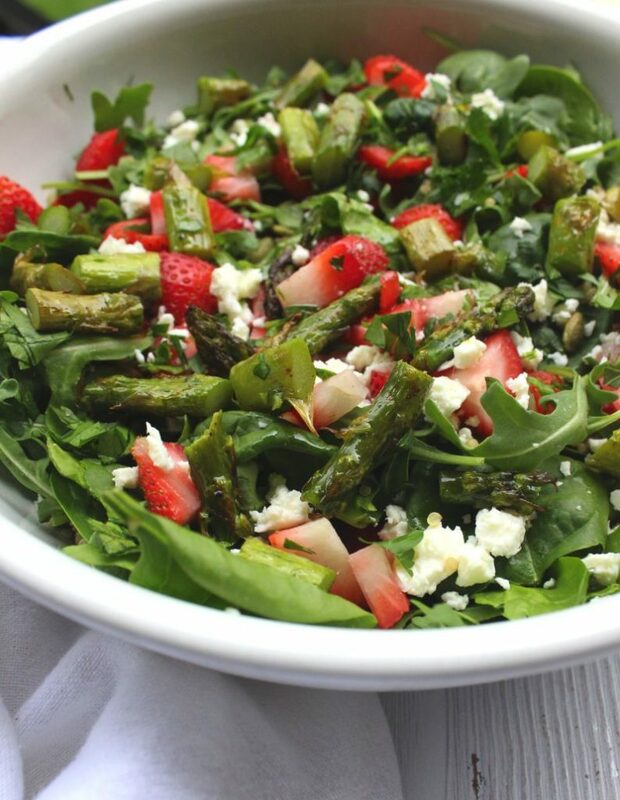 This strawberry and asparagus spring salad is perfect, it is fresh and full of flavour. I can’t wait to hit up the local farmer’s market for fresh produce, it really is a foodie’s dream. I was excited to see bundles of asparagus at our local grocery store. Asparagus is my favorite spring vegetable. There is a lot to love about asparagus besides taste. This vibrant green spring vegetable is packed with nutrients like Vitamins A, C and potassium, a mineral that aids in maintaining a healthy blood pressure. It is also a great source of folate, a B vitamin, important during pregnancy to prevent neural tube defects such as spina bifida. 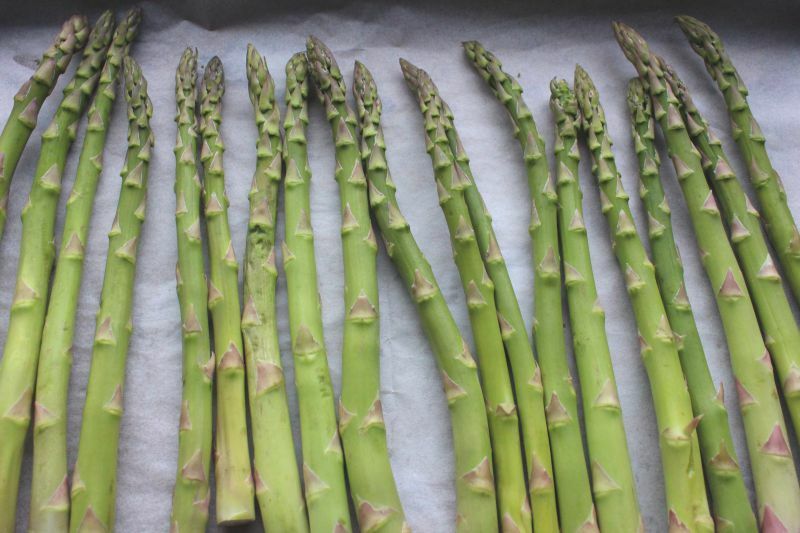 Asparagus also helps to support a healthy digestive tract, via its prebiotic properties. Asparagus contains a carbohydrate called Inulin which functions as a prebiotic. Prebiotics function as a fuel source for those healthy probiotics such as Bifiobacteria and Lactobacilli. I love to roast asparagus in a little avocado oil, lemon, salt and pepper and serve it as a side vegetable or in a salad. While asparagus is one of my favorite spring vegetables, unlike the rest of my crew. That’s ok, I will continue to cook it in different forms like this asparagus in a blanket by fraiche nutrition. According, to Ellen Satter it can take up to 20 different exposures before kids will accept a new food. Another thing ,I do is to get them involved whenever I can in the kitchen. They love to make the salad dressings. 1/2 cup quinoa, cooked according to package directions. Toss asparagus in olive oil, lemon juice, and salt and pepper. Roast in oven for 7 - 10minutes. check periodically as they roast quickly. Remove from oven and allow them to cool and chopped into bite size pieces. In a large bowl combine all your salad ingredients. 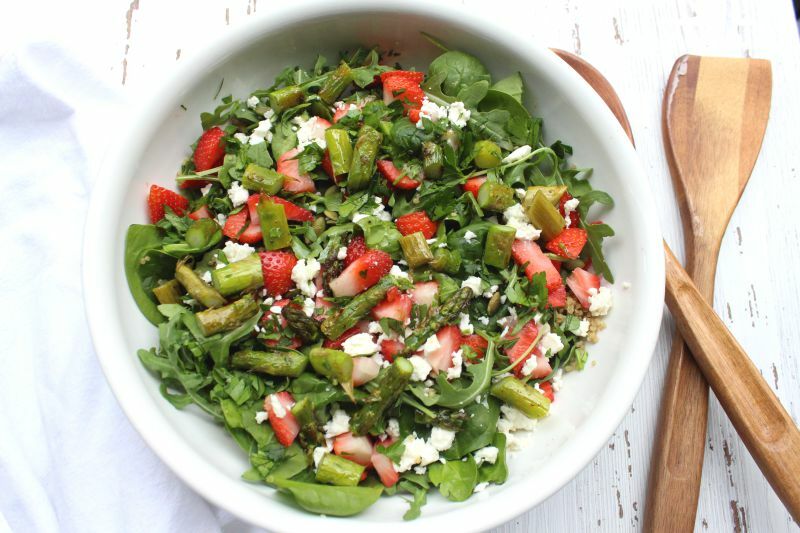 In a small bowl whisk together salad dressing ingredients. I like to serve dressing on the side and allow guest to dress their own salad as they choose.